Rafal has already started the preparations to start the calendar of events of this Christmas season. This weekend will open its doors the Municipal Bethlehem that as every year will decorate Rafal waiting to receive many visits from neighbors and visitors. The inauguration will take place tomorrow at 12:30 in the old Caja Rural, on C / Marqués de Rafal, in front of the Church. But without doubt, the highlight of the program will take place from December 14 to 16. 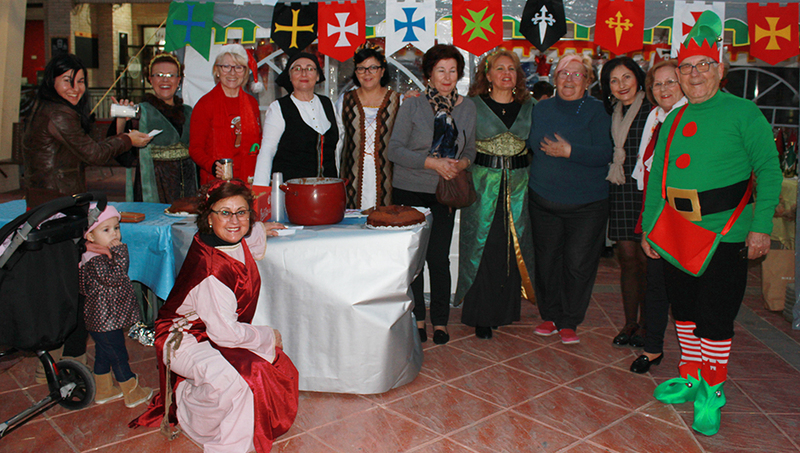 The traditional Christmas Market will set the central streets of the municipality and offer a wide range of activities suitable for all audiences. The market will open its doors on Friday at 5:00 p.m. Throughout the afternoon, visitors can enjoy a children’s program in which medieval storytelling and dancing will take place. At 7:30 p.m., the opening speech will begin. During the day of Saturday 15 and after its opening, at 11:00 hours will open its doors the gentlemen’s camp where you can enjoy traditional games, mercenary combat, tournament of gentlemen, school of young aspirants and fortune teller. The sessions of medieval storytelling and dancing will also continue. At 6:00 pm there will be a parade that will be held in collaboration with local businesses. The day will close with a musical animation session at 8:00 p.m. In addition to the activities that will take place at specific times there will also be craft stalls. On Sunday, the market will be open from 10:00 a.m. to 3:00 p.m.
On Saturday the 15th will also take place at 20:00 the Christmas proclamation with the traditional Christmas concert by the Banda and the Choral Art Choir of Rafal. The act will take place in the municipal auditorium. From Wednesday 19 and until Sunday 23 December, the schools of the municipality will carry out their traditional Christmas festivals in the Rafal musical art auditorium. In this way the students will put an end to the first quarter of the school year and open the Christmas holiday period in which they can enjoy a time of rest as a family. On the 27th and 28th, the Buzón Real will be installed in the basement of the Town Hall where all the residents of the municipality can deposit their letters with the wishes of the Three Kings. The Majesties of the East will arrive at Rafal on January 5 and will perform a great cavalcade at 7:00 pm, which will leave from Calvary and end with the delivery of gifts in the municipal auditorium. Music will also have a place in the Christmas program. On Friday, December 28 at 8:00 p.m., Orihuela City Orchestra will play a great concert. On the other hand, on Sunday 30 at 18:30 hours will be the turn of the concert “Encontronaso”. The two acts will be held in the Rafal musical art auditorium. In addition, to close the year, the sixth San Silvestre Rafaleña will be held. The inscriptions in the two offered modalities, 2,5k and 5k, will be able to realize the same day from the 16:30 hours in the door of the City council. All participants must provide a kilo of non-perishable food. The people of Raphael will be able to dismiss 2018 and have their grapes at the door of the Church. Then, all the people of Raphael who wish to celebrate will celebrate the arrival of the new year in the Municipal Tent.